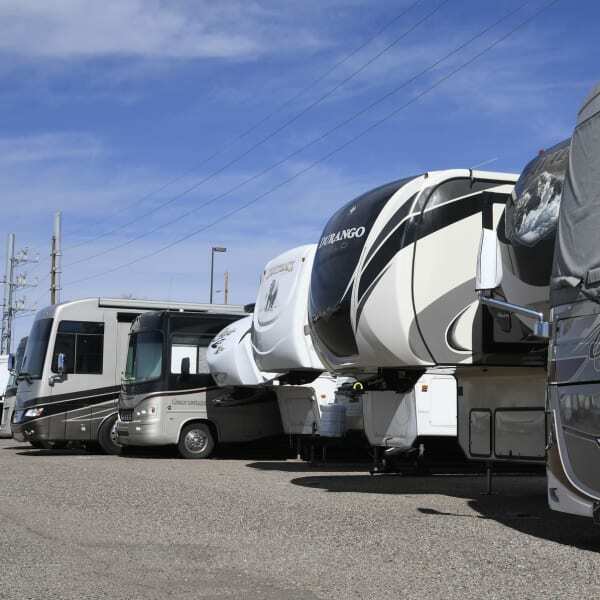 Neighborhood home owners associations and city ordinances can make parking your RV, extra vehicle or boat nothing short of a hassle. Storage Solutions has the answer for you. Our individual sites offer modern facilities to leave those vehicles secure and safe. Additionally, these areas are well lit and ultra clean. Our state of the art video surveillance cameras run 24 hours. Even better, you’ll have access 365 days a year. We’ve made the parking and storage of your vehicles even easier than ever! In all cases, your vehicle must fit into the designated area. Please be sure to measure your vehicle before selecting your space. When shopping for boat storage, be sure to include the extra length and width that the trailer adds as no excess length or width will be permitted.